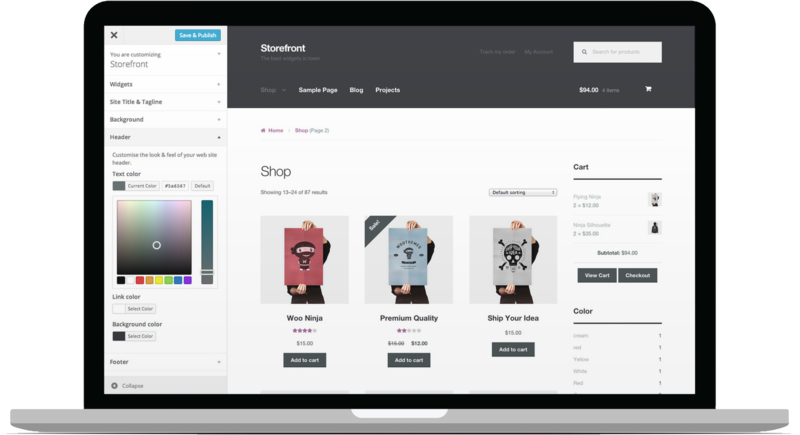 Optimize your store for sales by giving yourself more discount and coupon options, adding in email and social integrations or powering up your reporting. Reward your customers for purchases and other actions with points which can be redeemed for discounts. Enhance your coupon options – create gift certificates, store credit, coupons based on purchases and more. Allows you to create real-time product & review feeds to supply product information to Google Merchant Center for setting up Google Product Ads. Also supports Bing Merchant Centre. Automatically contact customers after purchase – be it everyone, your most loyal or your biggest spenders – and keep your store top-of-mind. For free security, insights and monitoring, connect to Jetpack. It’s everything you need for a strong, secure start. Sell on Amazon and eBay directly from your WooCommerce store.